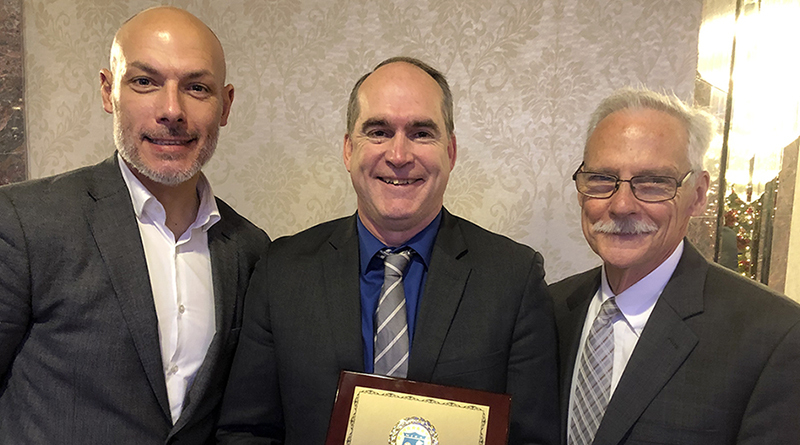 PRO’s Manager of Senior Assistant Referees and Video Review Operations Greg Barkey received the prestigious New Jersey Soccer Association’s Hall of Fame Award on December 2. Barkey, who won the NJSA’s Assistant Referee of the Year award in 2004 and the MLS Assistant Referee of the Year five years later, was one of four new inductees and was recognized for his officiating accomplishments. Having first registered with the NJSA as a referee in 1985, he was an Assistant Referee in MLS from its formation in 1996 and the first to reach 300 MLS games. He joined PRO’s coaching team in September 2015, as the Manager of Assistant Referees, having overseen more than 330 MLS regular season games, plus four assignments to both the MLS Cup and MLS All-Star game. A FIFA International Assistant Referee between 1995 and 2008 – he officiated at the 2005 FIFA U17 World Cup in Peru and 2006 FIFA World Cup in Germany – Barkey joins PRO colleagues Alex Prus (Director of Development Match Officials) and Alan Brown (Assignment Coordinator) in the NJSA Hall of Fame.